2 Bedroom Flat For Sale in Lewes for Asking Price £162,500. 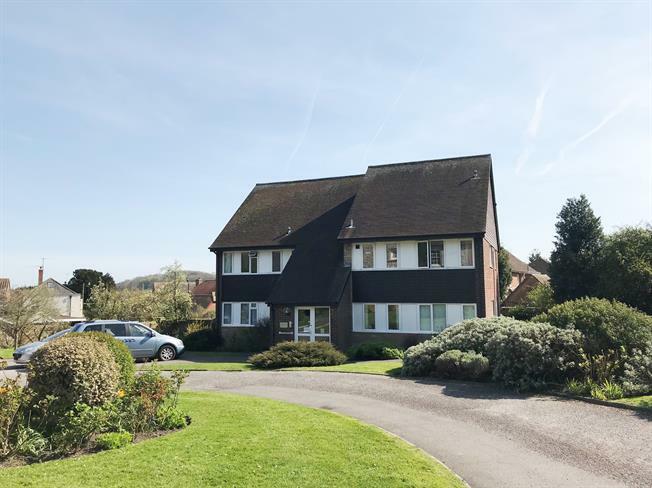 Freeman Forman are delighted to market this charming and beautifully presented two bedroom first floor retirement apartment which boasts stunning far reaching views and provides a good degree of privacy. Accommodation includes a 16 ft lounge/dining room to rear elevation with views overlooking the communal gardens and South Downs, fitted kitchen/breakfast room, two double bedrooms, family bathroom to include a shower unit, bath, WC and wash hand basin, storage cupboard and private loft access via a ladder. Externally the property benefits from mature communal grounds with lawned gardens and attractive shrubs and flower beds along with a single garage for off road parking. Freeman Forman would strongly recommend a viewing of this bespoke and deceptively spacious home. The property is located in central Ringmer, near to the Parish Church. A short distance away is the Village Green, where cricket is played during the summer months. Opposite The Green is the Village Hall, where many activities take place. Nearby there is a local pub and shopping parade including a butcher, baker, florist and greengrocer, post office and general store as well as fast food takeaway and restaurant. The doctors' surgery is close to the shops. About three miles away lies the historic town of Lewes which can be reached by bus or taxi. Lewes has a wide range of boutiques, restaurants and wine bars as well as High Street shops, retail park and large shopping centres. The mainline railway station has services to and from central London, via Haywards Heath, in just over an hour and a half.